Bodyboards are one of the coolest pieces of gear for guys that like to experience a bit of an adrenaline rush. They allow you to ride and cut through waves with ease to deliver a fun thrill. With that being said, finding the right board is just as important as finding the right waves. Boards come in a variety of shapes, styles, and designs. While these factors are all important, the most pivotal thing to consider is choosing a bodyboard designed for your specific height and weight. These boards are carefully designed to provide riders with a versatile experience. They need to be light enough to maneuver waves but buoyant enough to keep riders afloat. Even the slightest discrepancy in design can completely throw off your game, leaving you defeated in the water. A number of boards are on the market today. While cheaper alternatives are available, a solid option is needed to get the best ride possible. They are composed of high-quality materials down to the core. Designed with performance in mind, they have all the features that allow riders to dominate any wave. Here are some of the best options available today. This board from Wave Rebel is reasonably priced. However, it’s made for advanced riders that want to make the most out of every wave. It has an EPS core to keep the board light and stiff. The bottom has two channels for cutting through waves. It also has a Pro-Slick coating for a smooth ride. For flexibility and control, the board has a stringer as well. It comes in a few bright colors and includes a fabric leash. 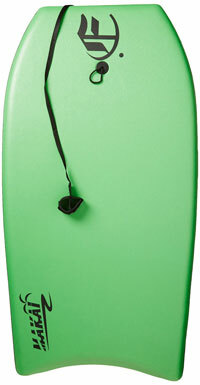 The board comes in size 42 and is roughly 21 and a half inches at its widepoint. Made for speed, the Wave Weapon bodyboard by Own the Wave is great for both advanced riders and novices alike. 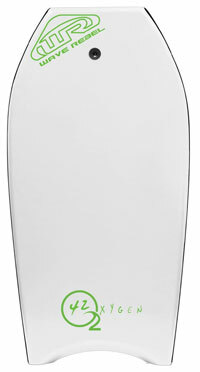 It has an EPS core, slick bottom with channels, and a crescent tail. This combination of features allows riders to get top speeds through the waves. It’s also very light for easy maneuvering. The bundle comes with a high-quality leash and fin tethers to keep everything close. 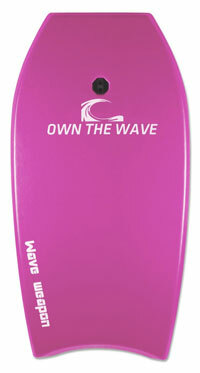 Available in pink, green, or blue, the board is easy to spot in the waves. 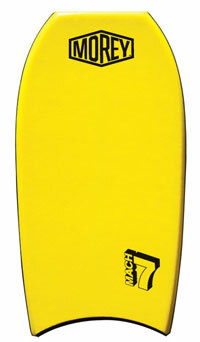 Available in multiple sizes, the Makai bodyboard from Empire is ideal for beginners. The smooth and light contours of the board are great for those that aren’t ready for riding tough waves just yet. It has an EPS core, making it light and relatively stiff. Riders can achieve moderate speed on top of the waves. In terms of flotation, the wide design and buoyant material will keep the unit afloat for paddling. It also comes with a comfortable leash. This series of boards is made by JGR Copa. They are designed for fast and loose riding thanks to the bat-shaped tail. It’s fairly short, measuring only 37 inches in length. It lacks channels on the bottom. Instead, it has a smooth back. The slick material slides on top of the water very easily, allowing riders to achieve fast speeds. It comes with a leash and is available is a collection of 5 colors with high visibility. 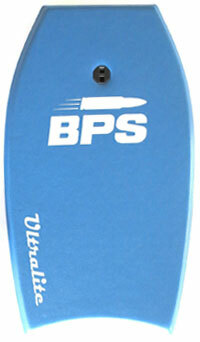 From Bullet Proof Sun comes this high-performance board. It is very light in weight thanks to the EPS core. Water channels are located on the bottom of the board towards the rear. They work in tandem with the crescent tail to maximize speed and performance. Riders can cut through rough waves or simply glide through the water. It’s a versatile board made to last. It comes with a premium leash and set of tail fins tethers. It’s available in two colors and a variety of sizes. 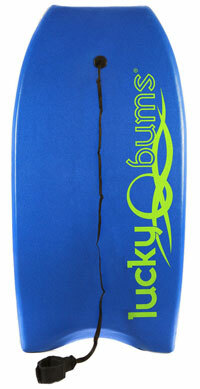 With a number of sizes available, this board from Lucky Bums is very versatile. It’s designed to be effective in any riding condition. It has a durable EPS core and a high-density PE bottom. This combination of materials make the board very buoyant and long-lasting. Rear channels provide optimal control and maneuverability in the water. It also allows riders to achieve higher speeds if they want to. An included leash keeps the board secure through even the roughest wipeout. This board is one of the most iconic in the sport. Made by Wham-O, it’s perfect for any bodyboarding aficionado. It has a high-density dow core made from PE. The top and bottom of the board are made from two different types of PE. The top is durable, yet comfortable, while the bottom is made for slicing through waves. It has channels and crescent tail. Inside, the board has a power rod stringer for strength and longevity. While it’s on the higher-end of the price spectrum, it’s a piece of bodyboarding history. When choosing the right board, size is imperative to maximize your skills and have the most fun. A wrongly-sized board is far too common, and it leads to more issues than its worth. Boards are sized according to height and weight. 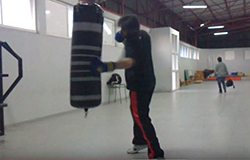 Boards should measure from your knees to your chin when held in front of you. The center should be around your belly button. While this is a quick size reference, a lot more goes into choosing a board. For example, heavier riders will need wider boards to achieve the best buoyancy. Furthermore, certain aspects of construction like thickness and core material can affect the overall performance. 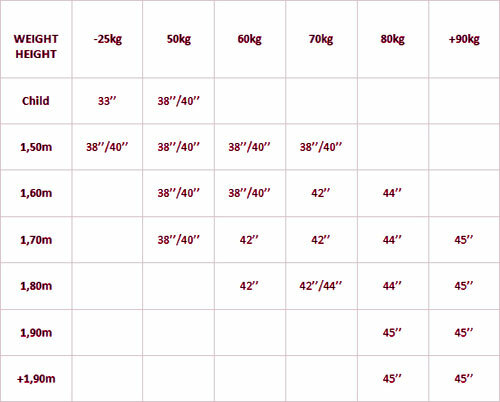 Here’s a bodyboard size chart to help make choosing the right board a bit easier. Much like surfboards, bodyboards occasionally need a good waxing. While it’s not required, it can help riders achieve more control. Wax is used on all areas of contact on the board. This includes the sides and chest area. Essentially, wax creates a glue between the body and board. It’s ideal for rougher riding condition. They prevent sliding and help riders avoid nasty wipeouts. The substance is fairly easy to apply. Simply wipe it with a cloth or hand along the areas. It’s a good idea to apply more on the body contact surfaces. If the board is new, a lot of wax should be used. Most of it will come off during the first riding session, but the remaining wax will last for quite some time. Alternatively, riders can apply wax to their hands and body. However, applying it directly to the board is cleaner and more effective in the long run. The type of core used in the board can help you reach your full potential in the water. Different cores offer varying performance perks. Predominantly made from polyethylene, polypropylene, or expanded polystyrene, cores are what provide flotation and have a big effect on performance. Polyethylene is the heaviest of the two options. Despite its weight, it has great flexibility. This provides incredible control in the water. It’s made for cooler water and riding rougher waves. Polypropylene is lighter and made for warmer waters. It’s a bit stiffer than the alternative, so it’s perfect for speed. Expanded polystyrene is ideal for beginners. It’s light and stiff. These cores are great for simply riding waves to shore. If you’re serious about the sport, it’s a good idea to get a board with a stringer. Stringers are tubes made of carbon fiber or fiberglass. They are placed inside the core. They make the board more flexible and long-lasting. They are usually present in high-quality boards made for professionals. Two of the most popular tail designs used are the crescent and bat tail. The crescent tail shape forms a wide curve that puts more of the body on the water. It provides more control. The bat tail has two curves and is made for smaller waves. It has more lift, which creates more speed and better movement on top of the water. Travel bags are one of the most useful accessories to have. Not everyone lives right next to the water. Chances are, you’ll have to travel to get to the right waves. Bags come in all shapes and sizes. Many of them are designed to be worn on the back. This makes it perfect for those who are using a bike to get their spot. A number of materials are used. High-quality bags are made with materials that resist damage to ensure ultimate protection of the board. They can resist sand and salt, which ultimately wreaks havoc on soft materials. Many are also impact resistant. Padding in the shoulder straps will make lugging around the board comfortable and easy. 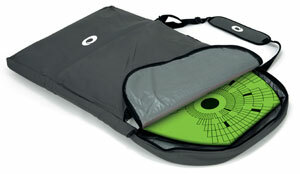 Most bags come with a variety of storage pockets as well, eliminating the need to lug around a separate bag. They have room for a wetsuit, fins, and all of the essentials. Waterproof materials will protect a wallet and keys. 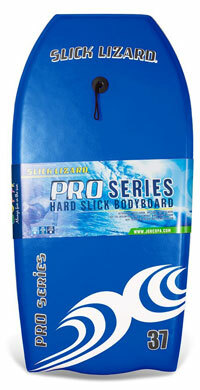 All in all, choosing the right bodyboard is easier said than done. Careful consideration in the size and quality of the board should be taken to ensure that you experience the best ride possible. With the perfect board, anyone can hit the waves with confidence.